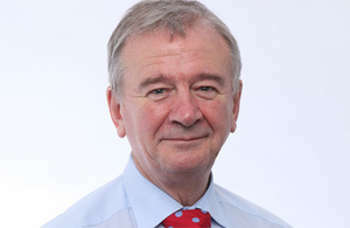 Sir Terry Morgan has been forced to step down from Crossrail and HS2 in what has been described as a politically motivated double sacking. The transport secretary and mayor of London have today accepted Sir Terry's resignations, in a move widely expected in the sector after numerous briefings against him. Sir Terry was at the centre of a heated row about the delays and cost overruns to London's Crossrail, which has soured the success of the scheme he guided since 2009. It was expected to open this December and is now scheduled to open next autumn. The mayor of London has denied that he knew the delay was expected to the project, which needed a £600m bailout earlier this year to keep going, until the end of August. However Sir Terry asserted that the mayor's team was briefed that a delay was expected in late July. The Government announced that Allan Cook CBE has been appointed as the new chair of HS2 Ltd. A successor for Sir Terry on Crossrail Ltd will be announced in due course. Mayor Khan said: 'For a while now I have had concerns about the effectiveness of Crossrail Ltd’s governance. Not only was I angry when Crossrail Ltd informed us that the project would be delayed, but historically there has been a lack of adequate information shared by the senior Crossrail leadership with the project’s joint sponsors - namely, the Department for Transport and Transport for London. 'Under new leadership, Crossrail must provide the joint sponsors and Londoners with the confidence that it has robust mechanisms in place to deliver a revised schedule, operating with a renewed sense of urgency and transparency across all parts of the project. Crossrail orginally had a £15.9bn budget but this was cut back to £14.8bn. The cost overruns and rolling stock are now expected to take the cost above £15.9bn again. Transport expert Christian Wolmar, who has written a book about Crossrail, told Transport Network: 'This is all about politics. The scheme may be about 10% over budget but the Treasury took off 10% of its budget a while ago. The Crossrail project overan mainly because of complex signalling issues. The scheme uses a three way signalling system involving Network Rail, TfL and Crossrail.